We’re lucky to have a very special interview this week, with none other than award-winning celebrity chef Norman Musa! 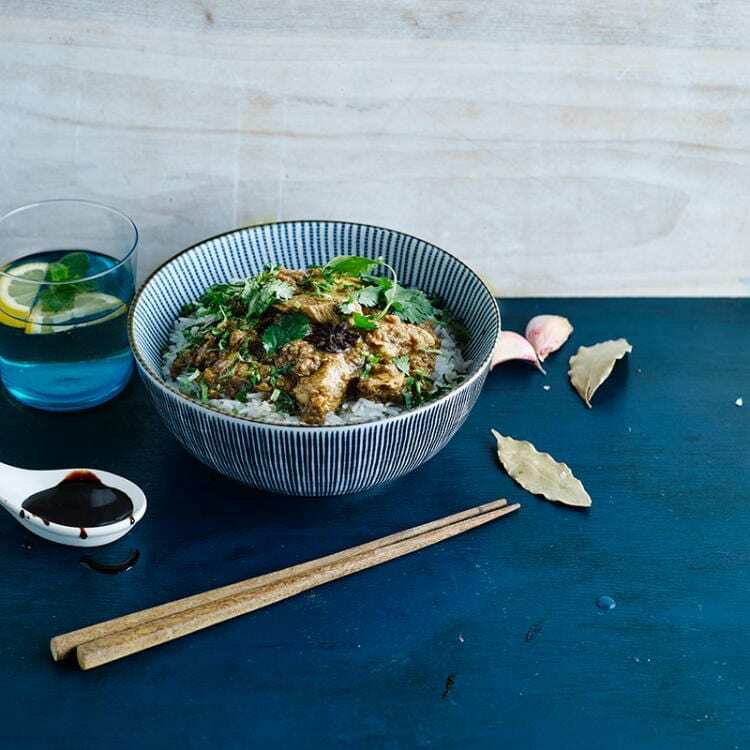 We’ve partnered up with this true master of Malaysian cuisine to bring a stunning Malaysian classic to the Gousto menu – Norman Musa’s Malay Chicken Curry. It’s available on the menu right now, and to celebrate we’re running a competition to win a free Gousto box and a copy of Norman Musa’s new cookbook Amazing Malaysian. You just need to post a picture of your Malaysian masterpiece on Instagram, Twitter or Facebook with the hashtag #normanmusa. Be sure you add the recipe in your next box so you can enter the competition! Hi Norman! How has your week been so far? I am currently in Malaysia and it has been hectic. My day starts at 8am and normally finishes around 10pm. I am working on a new restaurant in Kuala Lumpur at the moment, expected to open in June. Everything moves really fast over here – sometimes I feel like it’s impossible to keep up but I am doing my best and coping well so far, such an adrenaline rush – like being in the kitchen! Your brilliant new recipe book Amazing Malaysian came out in February, where did you get your inspiration for your recipes? Most of the recipes I inherited from my late mum. She was a good cook and I am so glad I have learned a lot from her, mainly via telephone when I was studying at university in the UK. I dedicated the book to my late parents to say thank you for their influences on my cooking passion. I grew up watching them work so hard, running a food business in Penang. Without them sharing their passion, I would not have achieved so many great things to date. Now it’s my turn to inspire others like the way they inspired me! We’re really excited to have your Malay Chicken Curry, adapted from a recipe in Amazing Malaysian, on the Gousto menu this week. Can you tell us a bit more about this dish and its history? I am so thrilled that you have chosen the dish as it means a lot to me. I travelled all over the UK between 2010 and 2013 to promote Malaysian cuisine; this was one of the dishes that I introduced and taught to thousands of Brits who attended my pop-up cookery school. Some were not that convinced about Malaysian cuisine to begin with, but this curry always did so well – it was a much loved success! It has a beautiful flavour and is nice to eat with rice, or with bread. It’s one of Malaysia’s favourite curries and I know many of my British friends are hooked on it already. The flavour of the dish comes in different layers and it’s a curry cooked and eaten almost on a daily basis in Malaysia. What can people expect to discover from Malaysian cuisine? Diversity is the best word to describe Malaysian cuisine. We have a range of dishes that come from three main ethnicities: Malay, Chinese and Indian. We also have ‘in-between’ cuisine, like Nyonya Peranakan dishes (between Malay and Chinese), many of which I have included in my new cookbook. It was difficult for me to narrow down the dishes that can best represent the whole of Malaysian cuisine, but I’m glad to say I’ve chosen five top dishes to promote in the UK and Malay Chicken Curry is one of them. You’ve said before that your mother was a huge influence on your cooking. How did she help you to become the amazing chef you are today? She taught me that passion conquers all. You must have the passion and be in love with the work you do, regardless of your field, but cooking I believe is the most challenging of all. I grew up watching and helping my parents with their food business, especially my mum in the kitchen. She wasn’t keen to have me in her kitchen, but I was persistent! She was fussy, and such a perfectionist when it comes to choosing the right ingredients. She once told me that for whatever I cook, I have to imagine I will be the one to eat it and by doing that I would expect the best from of it. Do you think it’s important for parents to show their children how to cook and teach them new recipes? Absolutely. It is a learning skill and I believe that everyone should know how to cook. Learning new recipes from different type of cuisines will make them more adventurous, and help them to appreciate the beauty of cultures from different parts of the world. What do you think is the single most important skill in the kitchen? For Malaysian cuisine, I would say learning to cook with the wok burner. It’s a skill that most trained chefs of Malaysian cuisine must possess. That is how you can wok-fry noodles with a beautiful smoky taste and flavour. Which ingredient do you think people should use more in their home cooking? I have a few projects planned this year, but unfortunately I can’t reveal them until they have been confirmed. If they’re happening, I’m glad to say I will be spending more time in London. 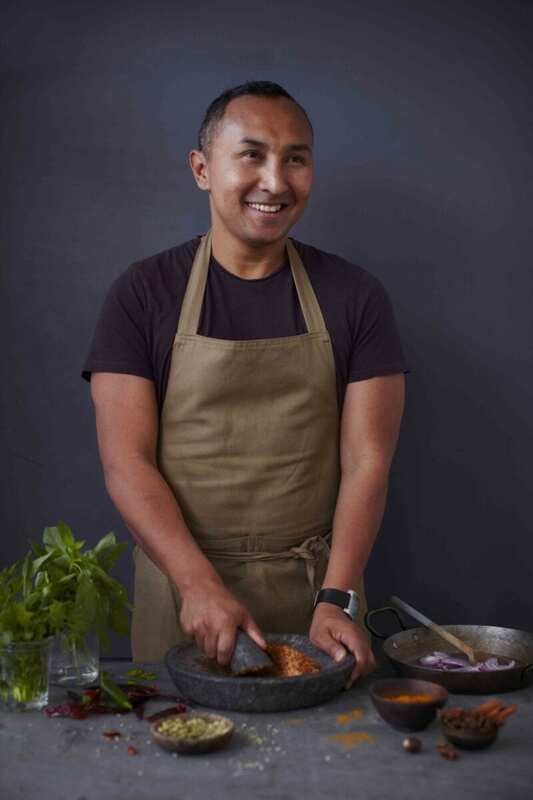 Saying that, I have a few cookery class dates booked up with Leiths in London, The Cookery School at Braxted Park in Essex and Cooks at Carlton in Yorkshire, teaching how to cook wonderful Malaysian cuisine. I have done classes for so many years now and they’re always very popular and fully booked up all the time. Apart from that, I will be running a few cooking demos in Abergavenny, Foodies Festival at Tatton Park and a few more in UK (to be confirmed) and Malaysia throughout the year. Also, my 13 episode cooking show ‘Chef Norman Exploring Malaysian Herbs’ is currently running on Malaysian TV. What do you think the future holds for food? I noticed that these days people are cutting down their time in the kitchen by always looking to cook or prepare something simple. This has become a trend. I agree with and appreciate cooking something healthy, but cutting down or simplifying the cooking method is something that I don’t agree with. That is why for my cookbook, I have balanced out recipes from easy to difficult, in order to give people options to choose from. I know there are many real foodies out there who love trying out some very challenging recipes and I have included many exciting recipes for that. I can appreciate that some people don’t have much time in the kitchen due to their work demands (unless they are chefs of course! ), but cooking should be adopted as a hobby and from that, passion will be developed. 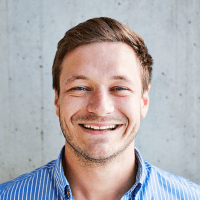 Check out the Gousto menu now. Norman Musa’s ‘Amazing Malaysian’ is available from Penguin. 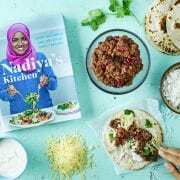 Why not read of some of our other celebrity chef interviews with the likes of Nadiya Hussain or Shu Han Lee?